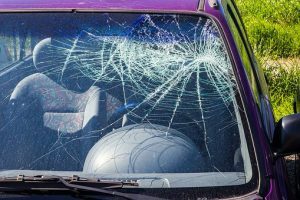 Springfield, MA (June 28, 2018) – A three car collision took place in Springfield, Massachusetts on Wednesday afternoon. The crash occurred just after 4:30 pm according to Dennis Leger, Executive Aid to the Springfield Fire Commissioner. At that time, three vehicles were traveling on Liberty Street when they all somehow collided with one another. Police and fire officials have not said how the collision occurred or who may be at fault for it occurring. At least one woman was injured in the crash. Police and firefighters had to extricate her from the car. Once she was removed, she was transported to a nearby hospital with injuries that do no appear to be life-threatening. There is no word on if the other two drivers were injured. Springfield police continue to investigate the accident and have not issued any charges at this time.